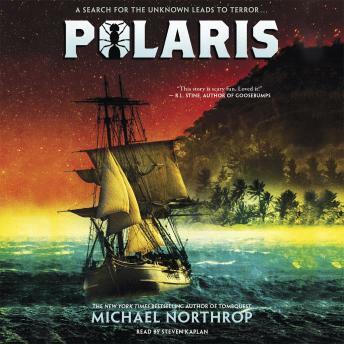 A crew of children must pilot a ship across unfamiliar seas while a strange creature lurks belowdecks in this fast-paced survival story from New York Times bestselling author Michael Northrop. Alone at sea, with only the stars to guide them . . . The Polaris is on a mission to explore new lands, and its crew is eager to bring their discoveries back home. But when members of the advance landing party mysteriously disappear, the remaining adults abandon ship, leaving behind the young cabin attendants and deckhands -- none of them older than twelve. With whispers of mutiny, a strange tropical illness, and perhaps even a wild beast shadowing them, the young sailors are desperate to steer the vessel to safety. When one of their number goes missing, and a strange but sweet smell drifts up from belowdecks, the young crew begins to suspect that someone -- or something -- else is onboard. Having steeled themselves for the treacherous journey home, they now have more to fear than the raging waters of the Atlantic . . .